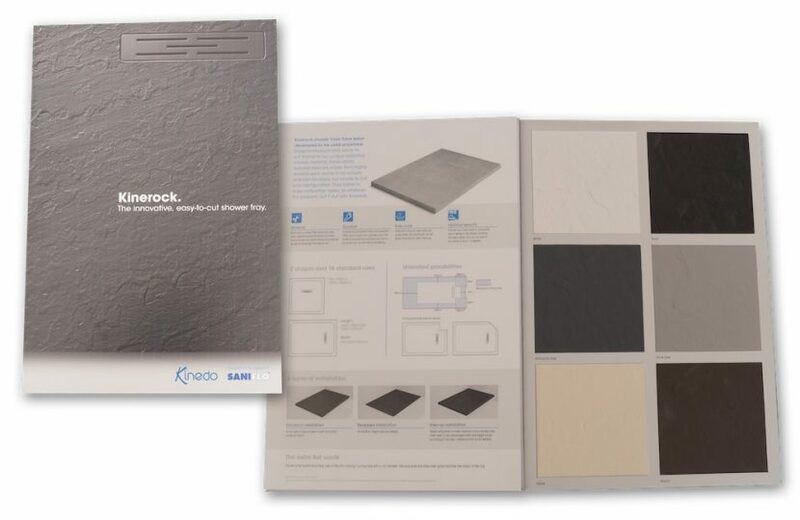 To support sales and displays of the new Kinerock shower tray into bathroom display outlets, the team at Saniflo has developed a stylish presenter. The sturdy book-style unit contains six samples of the cut-able tray that showcases the range of available colours and the actual material of manufacture. The presenter has been very well received by the Saniflo sales team as well as the retail outlets. Whilst initially designed to highlight the quality and features of the tray to showroom staff it has since been used as a sales aid with customers. Ann Boardman, Head of Marketing and Product Development at Saniflo, developed the concept in response to requests for samples.